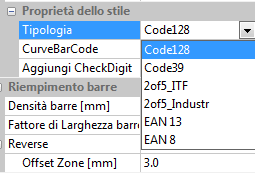 Once selected, you can access to the BarCode properties by clicking on Feature properties below the jobs’tree. In the first section, “BarCode”, you can either change the name of the BarCode, or enable/disable it, lock/unlock it or change the displaying color. 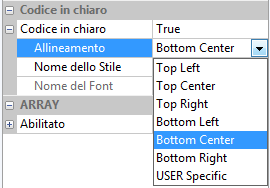 INPUT by KEYBOARD allows for changing the text to mark everywhen you start marking. You will be able to change it at every end of working cycle. SN/DATE + INPUT by REMOTE allows for importing some strings of serial numbers and date from remote software. 4. 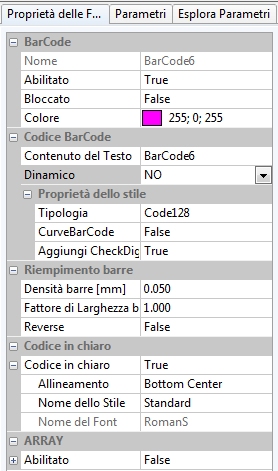 In the “Bars Filling” section you can change the parameters relating to the bar density, the bars width factor, or you can enable the Reverse which inverts the marking tonality according to the material, creating an Offset zone (which can be modified) in order to improve readability in marking. 5. 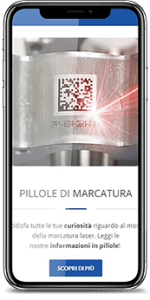 You can choose to display the barcode data as an alphanumerical code, that is to say a text which is human readable in case of problems in the automatic reading devices: you just have to enable the Human Readable Text function et set the alignment and the style you prefer. 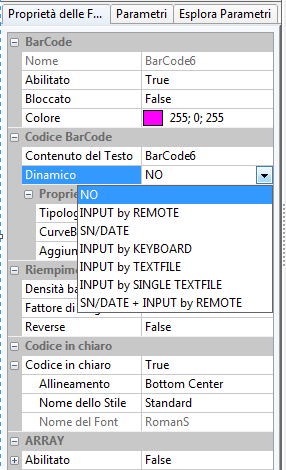 You can do this even selecting the barcode and right-clicking on it, choosing the “Properties” voice. Please refer yourself to How to modify a text and How to create a new text style in the specific section about the creation of a text. 6. 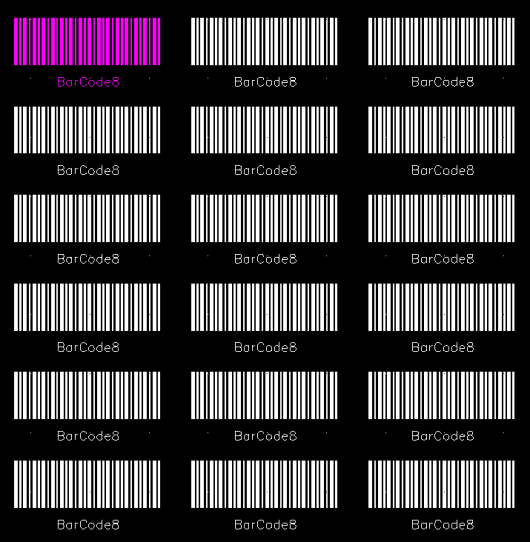 Enabling the ARRAY function you can personalize the barcode organizing more strings in a matrix. 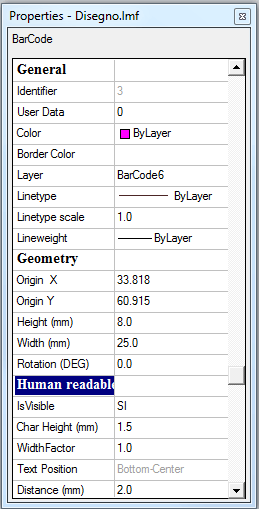 You can choose the number of rows and columns but also the distance between them.